Despite releasing on a semi-holiday, the film failed to bank the most at the Indian BO. It started slow on Thursday morning and witnessed just an occupancy of about 25 percent. Later on, it increased with the evening and night shows. Although the flick got huge promotions and buzz, it failed to draw the viewers to the theaters. Looking at its hype and promotion quantity, it could have done much more. It got the screen count of more than 2500 screens. The number is higher than what Rustom (2,317) got. However, AFJ didn’t fare on its day 1. In India, it was able to collect only Rs 7.10 crore. It was confirmed by Trade analyst Taran Adarsh. Thus, it failed to turn out as the biggest opener of Tiger Shroff. For him, Baaghi, which collected Rs 11.94 cr on its opening, is still the highest opener. Being released on a holiday, it was expected that the film would get house-packed shows. But, the end results were far away from the expectations. It didn’t fetch a good sum of money. It may be possible that people focused more on religious activities. It seemed that people were busy celebrating Krishna Janmashtami. However, Rs 7.10 crore is not a bad amount. But, yes, it could have been much better. There is good news for this film. There are no more big movies releasing this week. Thus, it means that the film would enjoy a day extended weekend and then the first week too. Moreover, it will more depend on the word of mouth as it has got mixed reviews from both the audiences and critics. Its fate lies now on the word of mouth. The film was expected to break and create new BO records at least for the opening day. 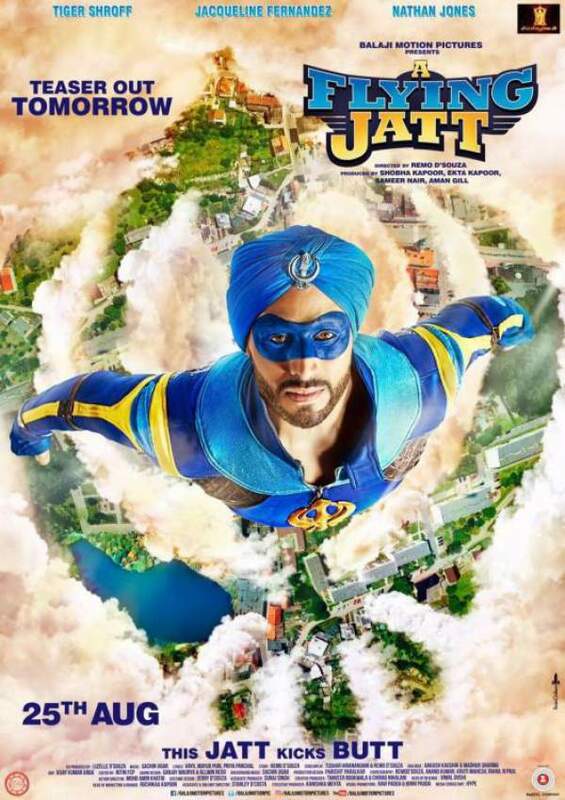 However, A Flying Jatt box office collection failed badly and couldn’t make it into the list of top 10 openers of the year. AFJ witnessed a slight drop in the occupancy today, i.e., Friday as compared to the data of yesterday. Single screens have the same figures while multiplexes saw a drop. A Flying Jatt collection figure will be updated at the earliest. So, stay tuned. Heropanti and Baaghi, the first two movies of Tiger, made good collections at the worldwide BOC. Baaghi even collected more than 70 cr. Meanwhile, the producer Sajid Nadiadwala has already announced the sequel.